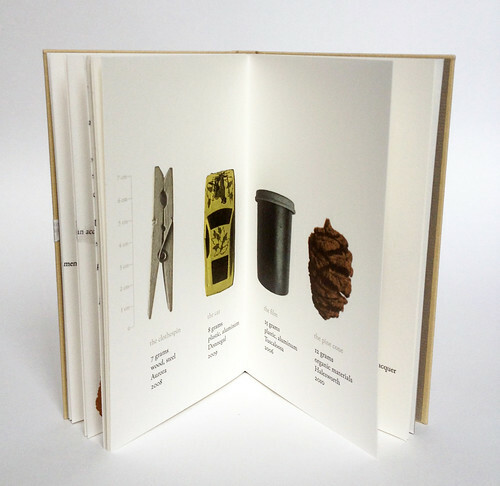 This is a work that succeeds on every level: the text, both humorous and pithy, is engaging, the craft and material selection superb, the design and layout a balance of image, information and space. 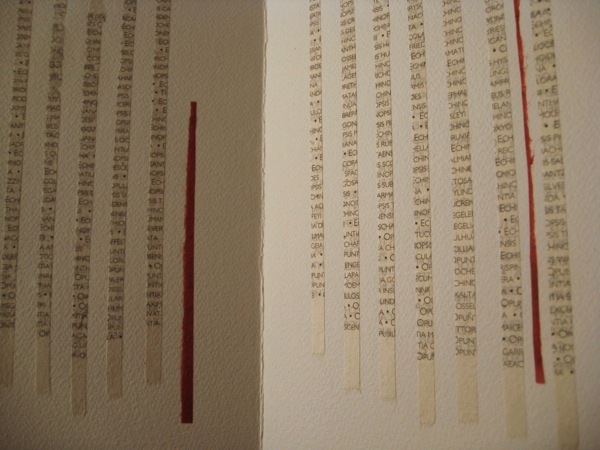 The presentation is such that one is informed, enticed and amused before even getting to the ‘insides’ of the work – a corporeal codex, the inside story. 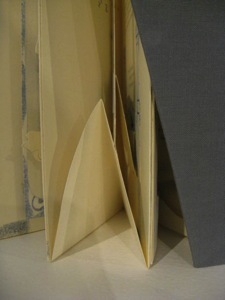 We read that the work was inspired by Torso Woman, a genuine anatomical model of serene evisceration. 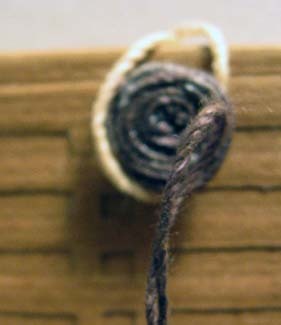 Mounted on the interior central panel, appropriately placed on a brush worked depiction of an armless, legless female, who does, however, have a head), wearing a stoic (or is it serene?) 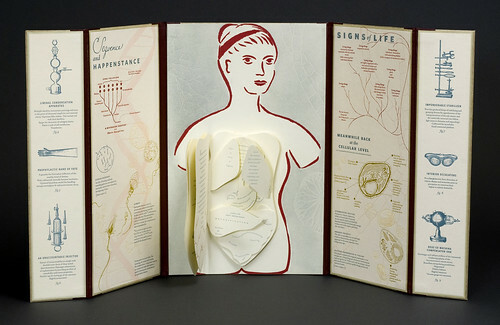 expression is an organically shaped book that includes overlapping shapes reminiscent of the human anatomy books of the fifties. 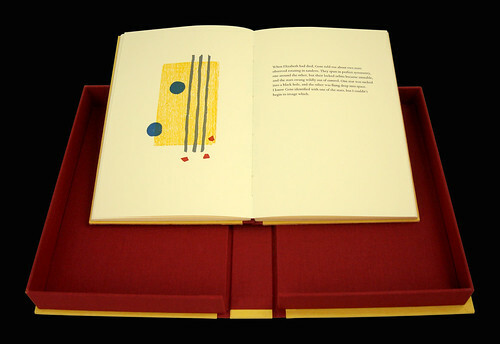 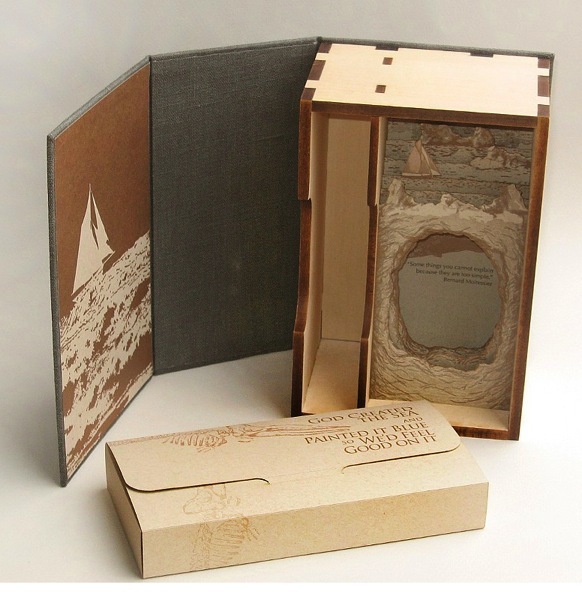 This book is produced in an edition of 57 and sells for $1200. 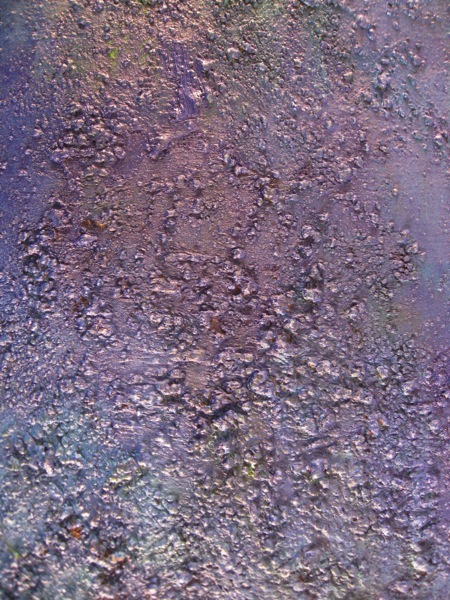 Artist bio, images, descriptive details and ordering information here. 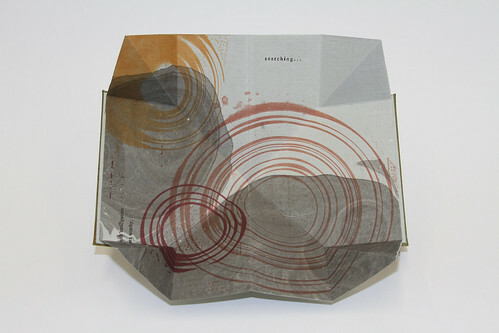 Casey Gardner is the recipient of this years’ Gallery Director Award. 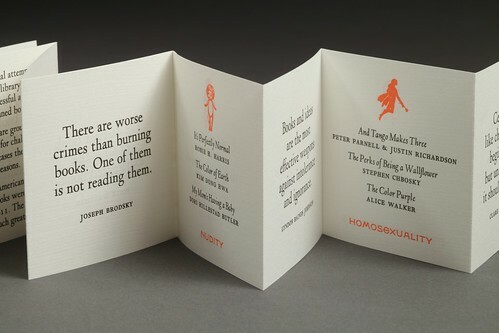 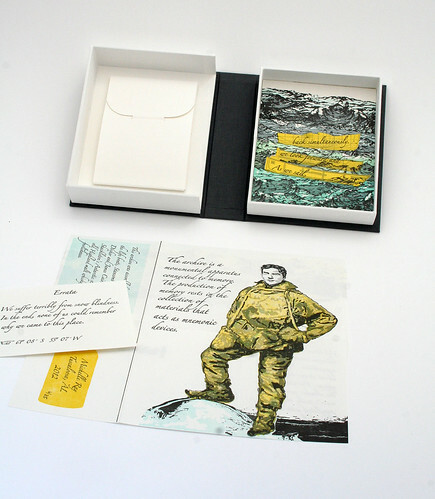 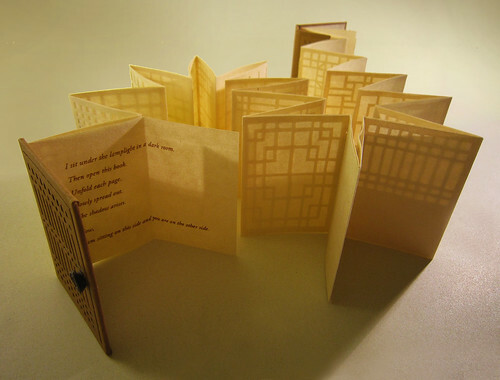 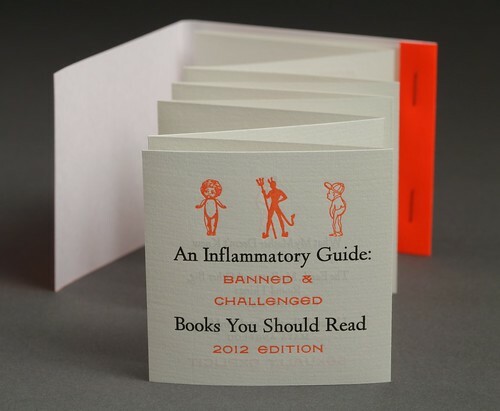 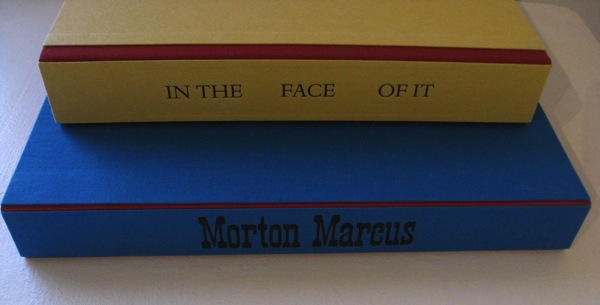 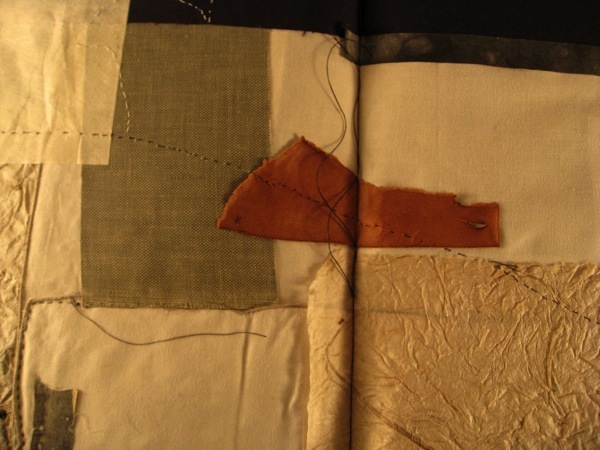 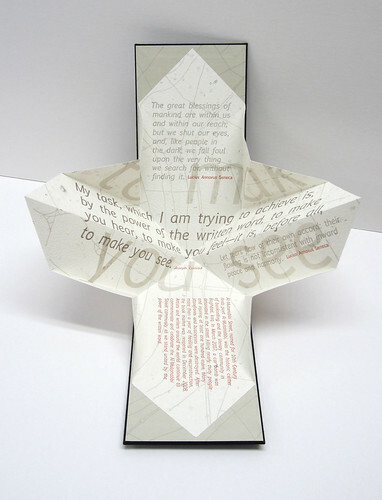 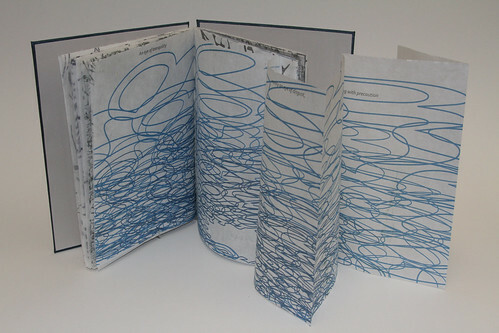 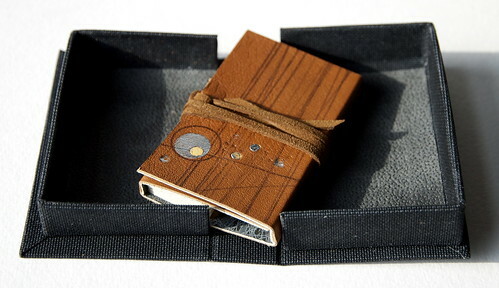 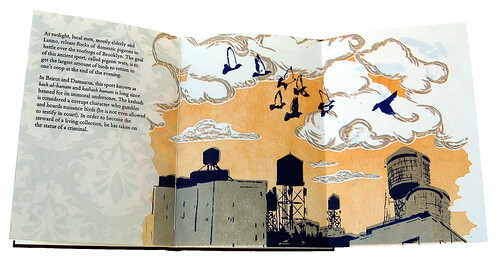 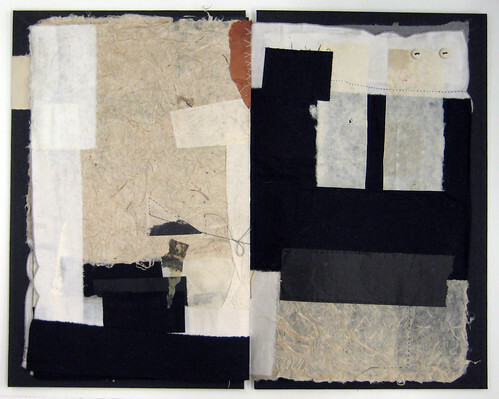 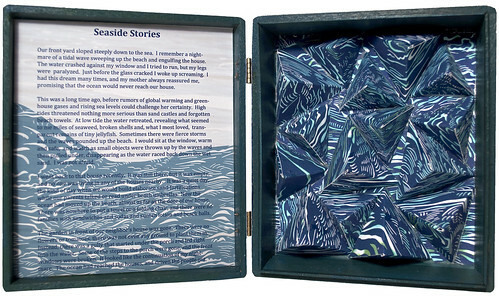 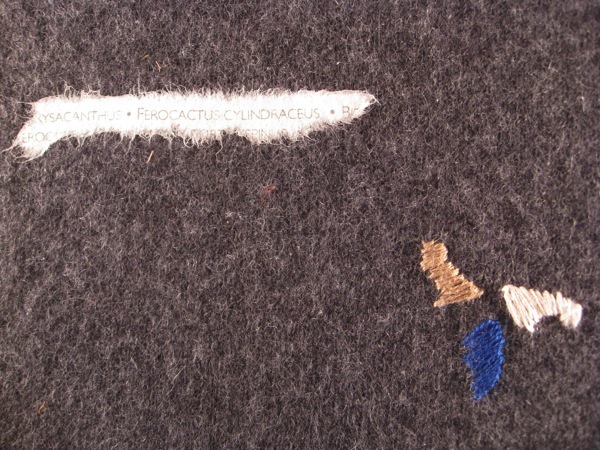 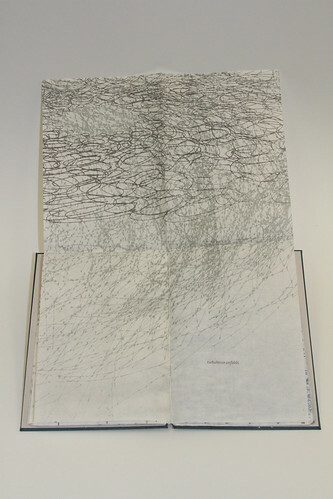 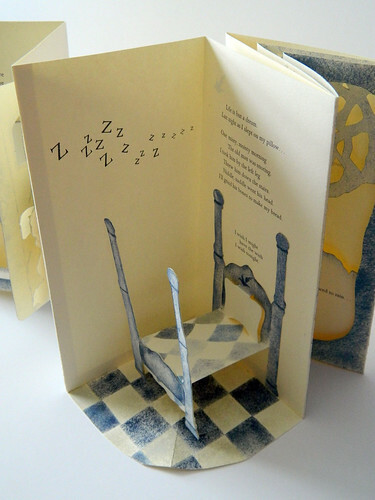 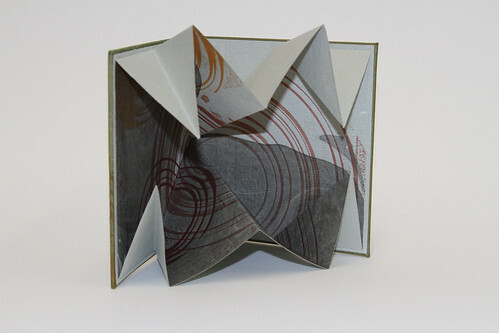 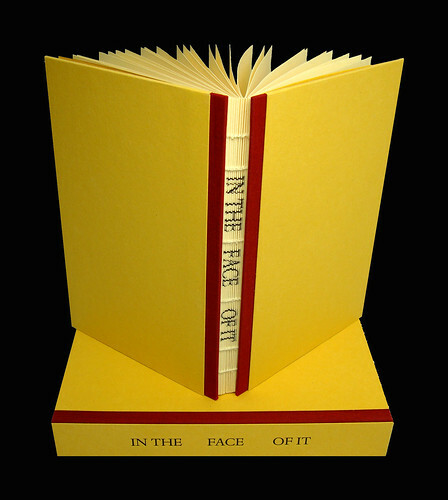 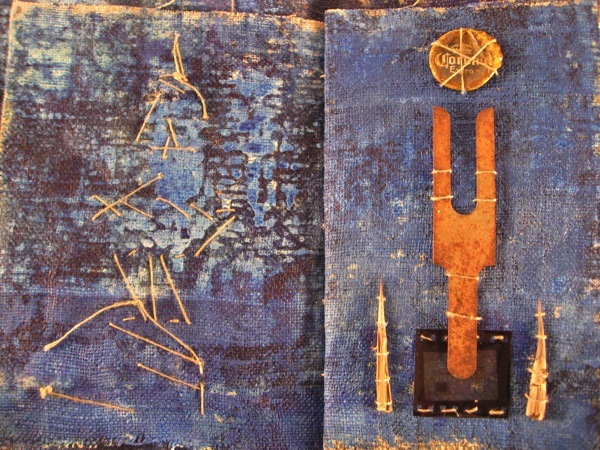 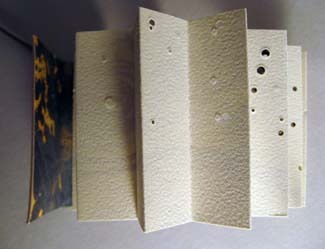 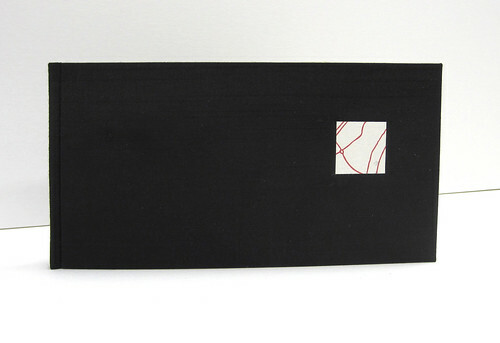 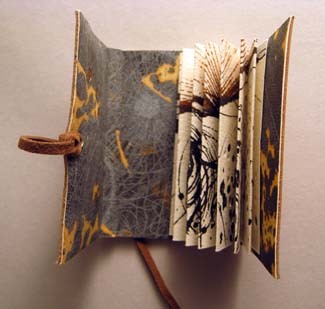 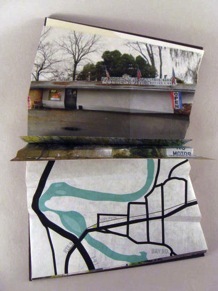 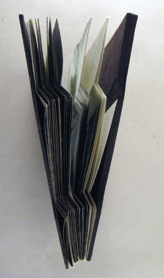 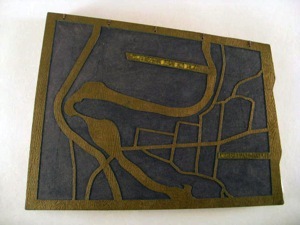 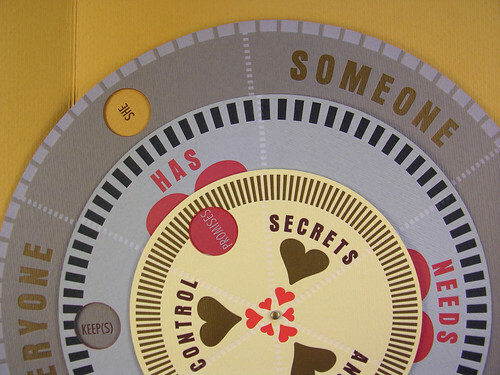 Her work will be featured in a Reading Room exhibit during Artists Book Cornucopia IV in 2013. 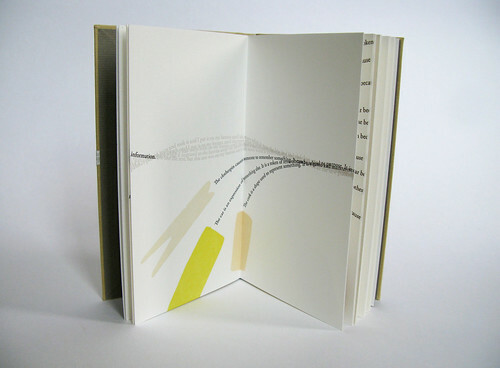 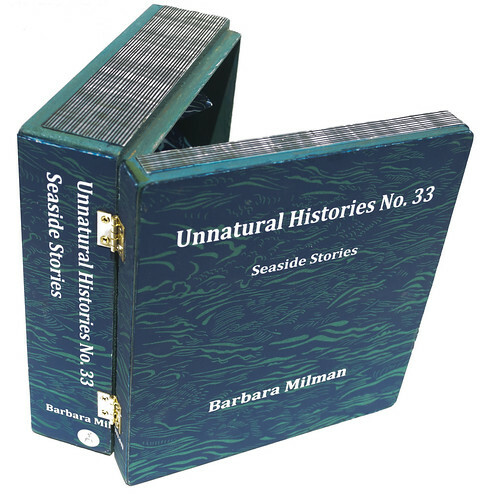 In making these works I take existing popular science books and re-configure them into objects that reveal the content of the text and images in a new way. 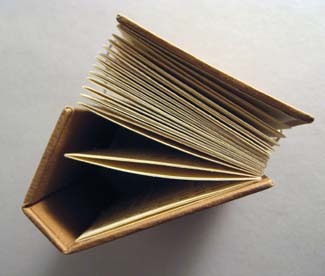 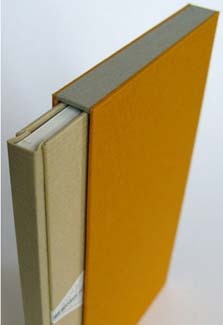 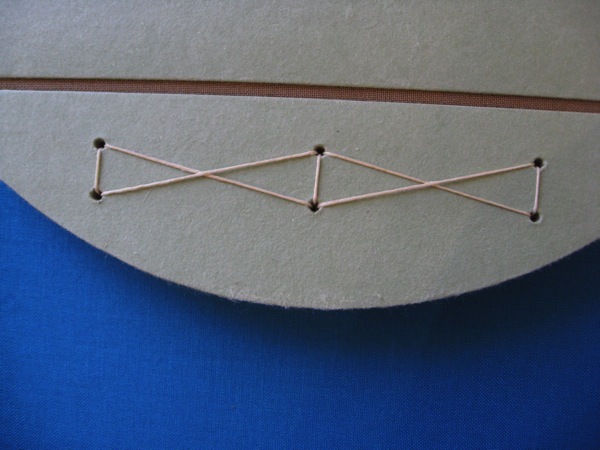 The subject matter of the book determines the final reconstructed form. 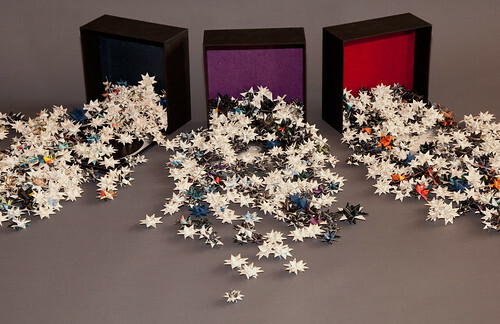 The three ‘volumes’ of this work each contain dozens of Froebel stars (a Froebel star is a three-dimensional star made of four strips of paper) – the stars fitting exactly into the box cavity when closed and spilling forth when the box lid is opened for viewing. 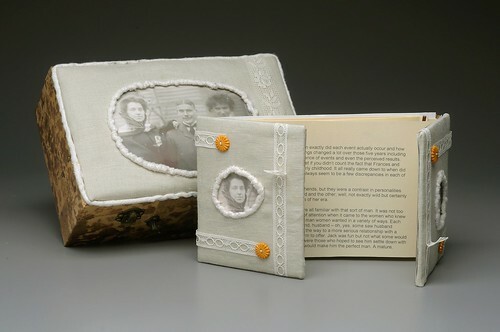 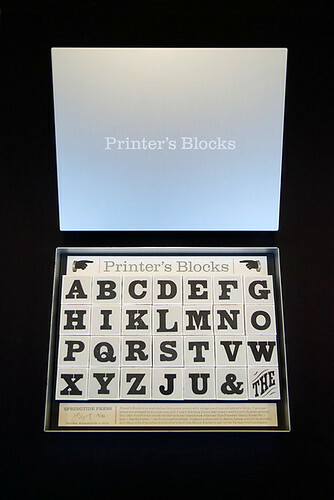 This set is produced in an edition of one and sells for $1200.